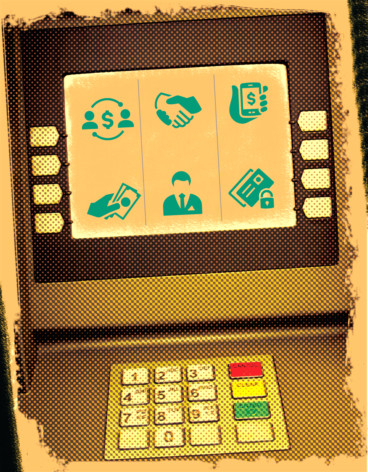 When Paul Volcker, ex-chairman of Federal Reserve famously said in 2009 that “the only thing useful the banking sector invented in the last 20 years is the ATM machine”, he was not off the mark. While there are the occasional new ideas — apps, contactless payments, etc, – decade after decade the fundamentals have remained the same. But today, the change sweeping the industry would silently please him. One of the key developments is the dawn of “open banking”, which can be defined as a collaborative model in which data is shared between two or more unaffiliated parties to deliver enhanced capabilities and services to customers. To fully grasp its business potential, it is useful to have some insight into the technical concepts defining the paradigm. An API (application protocol interface) is in its simplest form a standardised protocol for computer programs to talk to each other and is integral to modern software development. The use of APIs range from Web-based operating systems to databases or software libraries. An excellent example of open banking is in the form of the Payment Services Directive (PSD2), which came into effect in early 2018 in the EU and UK and fundamentally changes the bank and customer relationship. The PSD2 requires banks to grant qualified third-parties automated access to customer transaction accounts and data covering both retail and corporate customers. It might not sound like much, but it could transform the way we move and use money. In short, customers are getting control of their data. While the PSD2 is a European initiative, we should expect the US, China and the rest of Asia moving in that direction. In the US, large banks are entering into a data sharing deal with individual partners. Firms like AliPay and WeChat are creating digital finance ecosystems solutions through data sharing capabilities. Singapore has developed a large fintech market built largely around APIs. For instance, in risk deciding in the absence of formal credit-scoring agencies. The Monetary Authority of Singapore has now established a fintech division to provide structure and oversight to the process. In East Africa, lending models are emerging from access to alternative source of data such as mobile phone usage, etc. As open banking enables personal information to be shared between organisations, data privacy will become critical, along with the ability to gather, record and manage customers’ consents and permissions. The EU’s new General Data Protection Regulation (GDPR) addresses that concern. Both GDPR and PSD2 are built on the principle that individuals own their personal data and should therefore be able to choose how it is used and with whom it is shared. Combined with these regulatory changes, Innovative solutions from fintechs and digital-ecosystem owners are exerting additional downward pressure on the pricing at banks. In this environment, incumbent banks can either choose to go as a stand-alone service provider where they continue with a full-service offering, delivering their own in-house digital products via a proprietary distribution network with little or no integration with third-parties. Alternatively, they become a marketplace with primary focus on distribution and create an interface through which third-parties can provide products and services. To embrace open banking, incumbents need to also challenge internal culture and existing business models. The Spanish bank BBVA has been a pioneer in this field together with Fidor, and banks like Capital One, ABN Amro and Nordea are joining the open banking revolution. HSBC has responded to the open banking regulations by launching Connected Money, an app that enables users to view all their bank accounts, regardless of supplier, on a single screen. While open banking may not be the silver bullet to reinvent the banking industry, it represents a catalyst for change. With competition for customer touchpoints and secure access to customer data fiercer than ever, banks are orchestrating a collaborating framework with fintech start-ups to enhance a client’s value proposition. They will both position as a marketplace and distributing their products on online platforms. One such exciting idea that is taking shape is banks use of independent platforms to raise deposits. These would allow banks to source deposit funding without having to set up and operate a branch infrastructure outside their home markets. Connected to the platform through Open APIs, one can source funding without a branch network, expensive marketing and without the need to open, run and maintain numerous individual customer accounts. For other banks, this platform allows them to offer select third-party deposit products to customers, enabling them to access best-in-class interest rates. This improves customer experience and relationship, strengthening their position as a hub for the customers’ financial needs. At the same time, it also allows banks to manage the balance sheet by easily reducing deposit surplus. The platform can offers savers and corporates access to market-leading interest rates from all over the globe under the existing account relationship without having to continuously switch bank accounts. Clients can handle the administration of all their deposits centrally. Such win-win situations will help banks to be nimble and innovative and customers benefit immensely. What better way to celebrate the 10th anniversary of the financial crisis of 2008 by looking at positive, transformational and innovating solutions to choose from. Siddharth Bhandari is CEO of Newbridge Fintech Solutions.